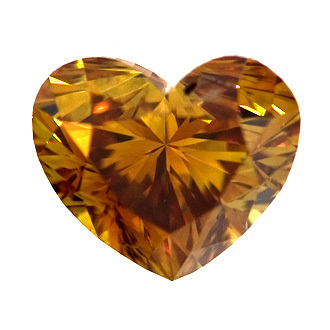 The Heart Fancy Deep Brown Orange Diamond will take your breathe away. The unique design allows the diamond to sparkle with both brown and orange as the light hits it. The polish is good, symmetry very good and it is a full 1.08 carat. This would be an awesome gift for that special lady.